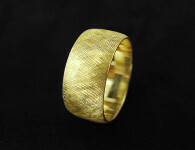 A combination of gold and wood, soft and hard, grainy and polished. 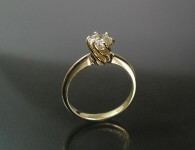 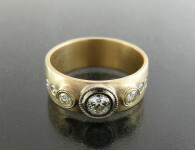 This ring contains many contrasts of materials and looks that combines to a one magnificent piece of jewelry. 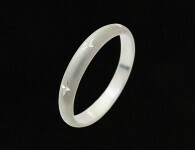 Width: 13 mm / 0.5 in. Category: All Rings, One of a kind, Rings, Wood. 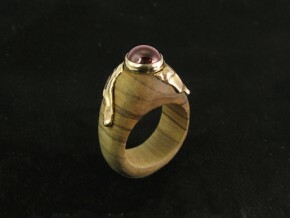 Tags: Garnet, gold ring, Olive wood, one of a kind.